Silver beads necklace with Swarovski crystals by Otazu. 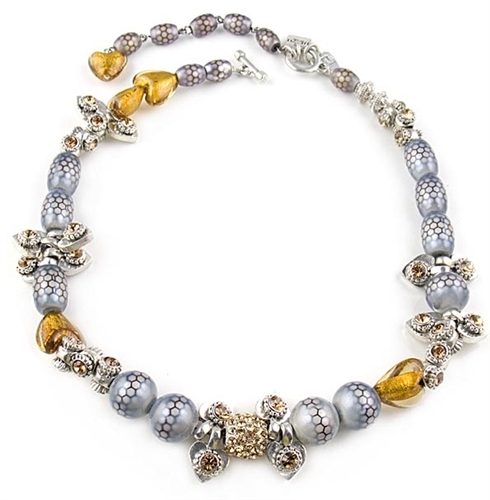 This beautiful designer necklace features a variety of grey beads, murano gold-leaf hearts, silver heart charms with topaz swarovski crystals and silver beads. Necklace measures 43cm / 17 " in length and has a 10cm (4") long chain made with beads and a gold murano heart drop at the back.